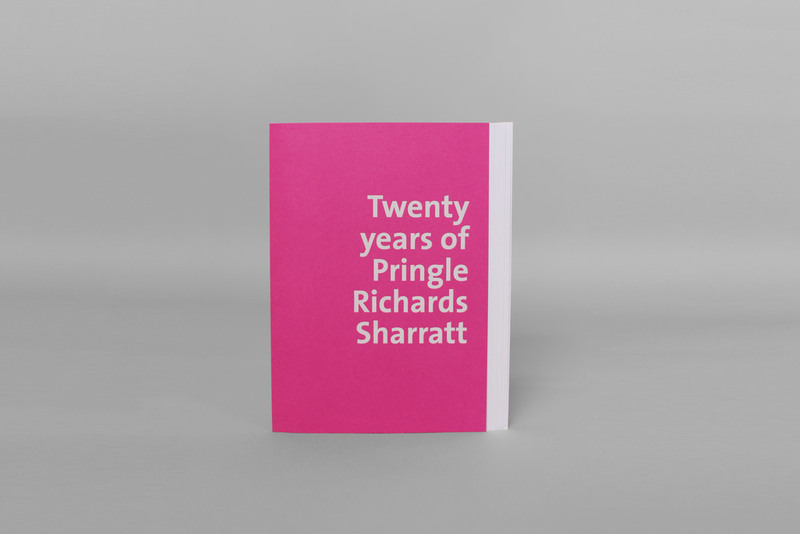 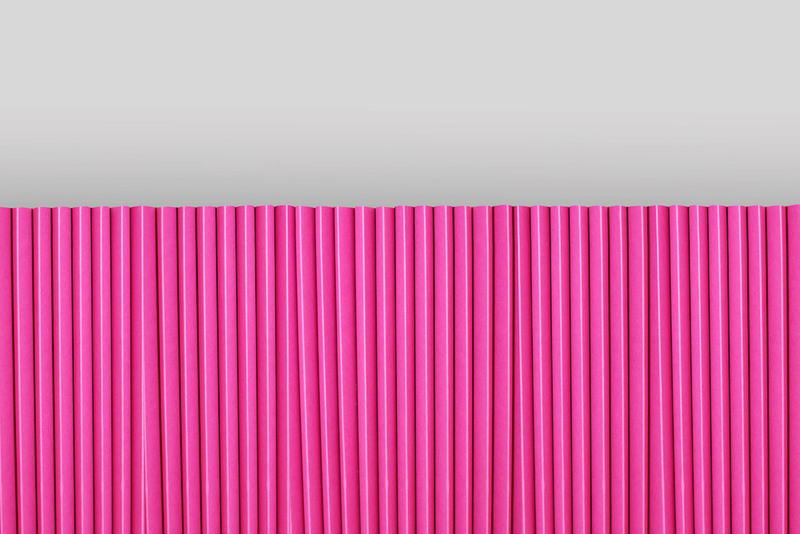 Pringle Richards Sharratt Architects commissioned Studio Eger to design a "birthday card" to celebrate twenty years in business. 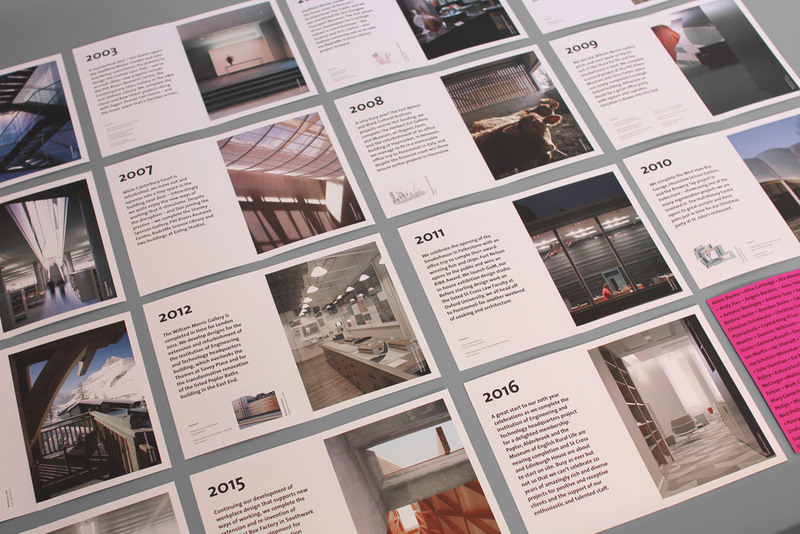 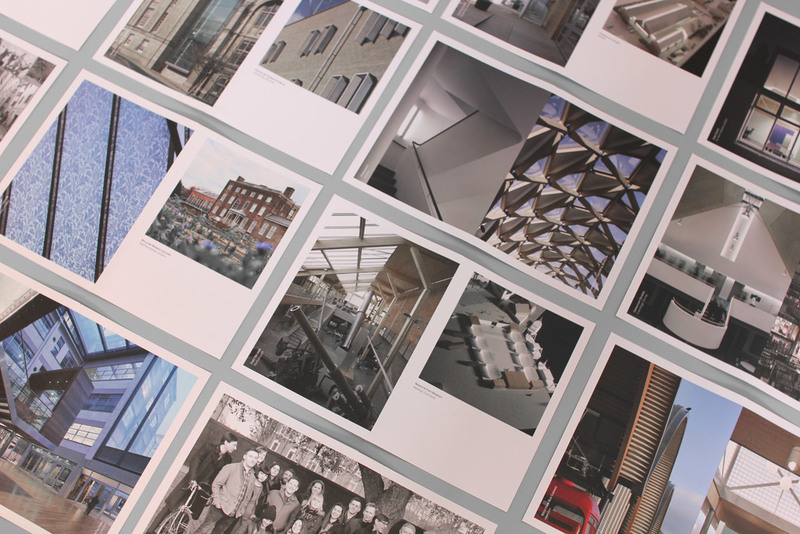 The unbound book of A5 cards – one sheet per year – creates a timeline of project images and events. 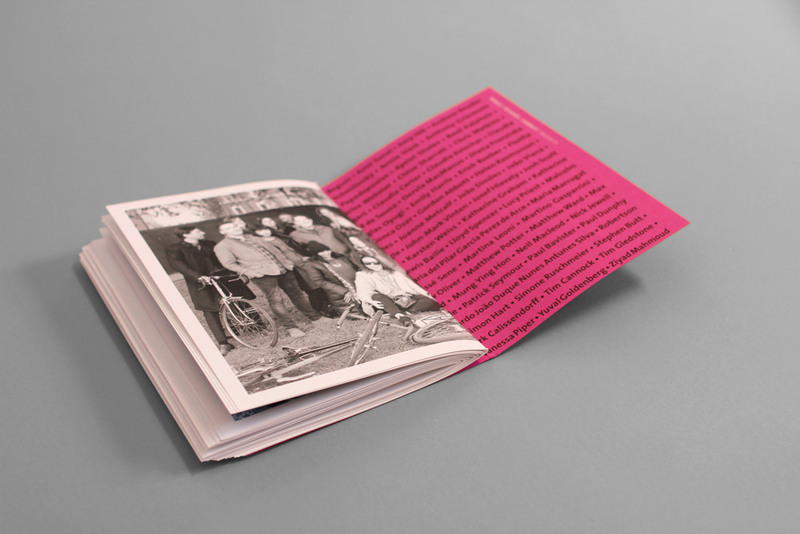 The sculptural book can be viewed from one side to see a text-based timeline, and then from the reverse it is images only, in a loose reverse chronology. 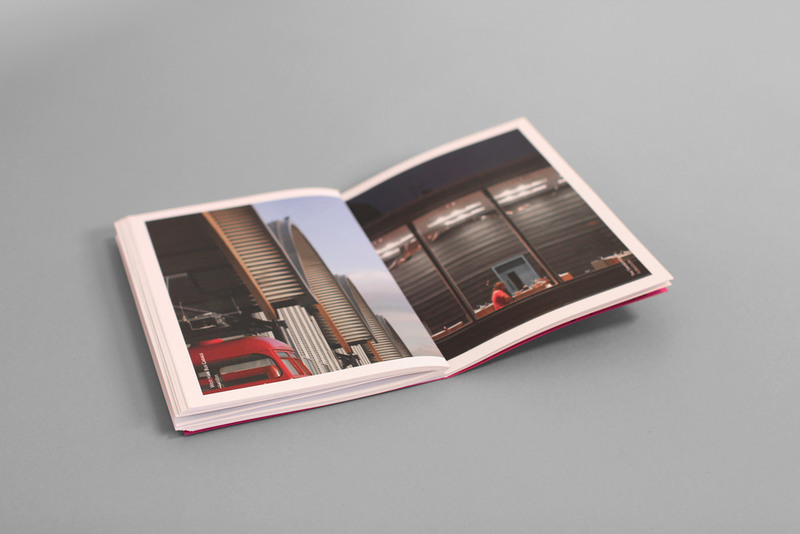 Each page can be removed to tell the story of a single year, and when viewed as a whole, time is continuous. 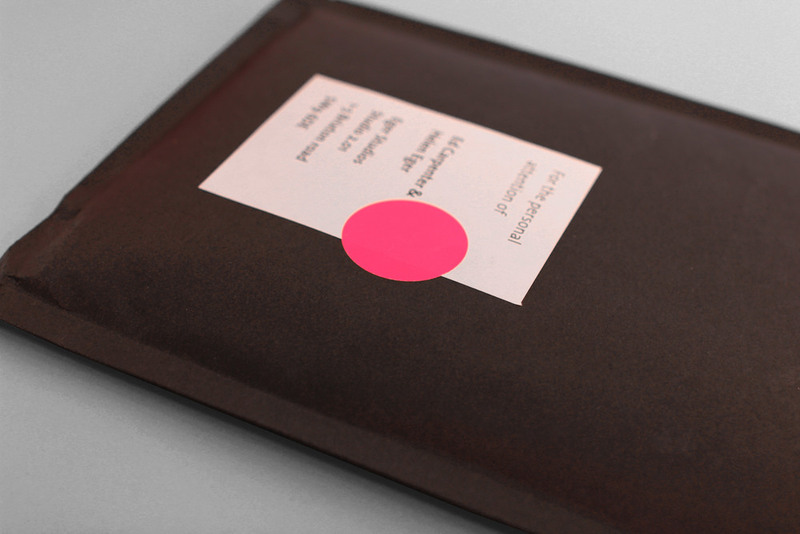 The book was posted to clients and friends, together with an invitation to the birthday party.